Expertly led by Ed on a 35-mile ride, which turned out warmer and drier than expected. 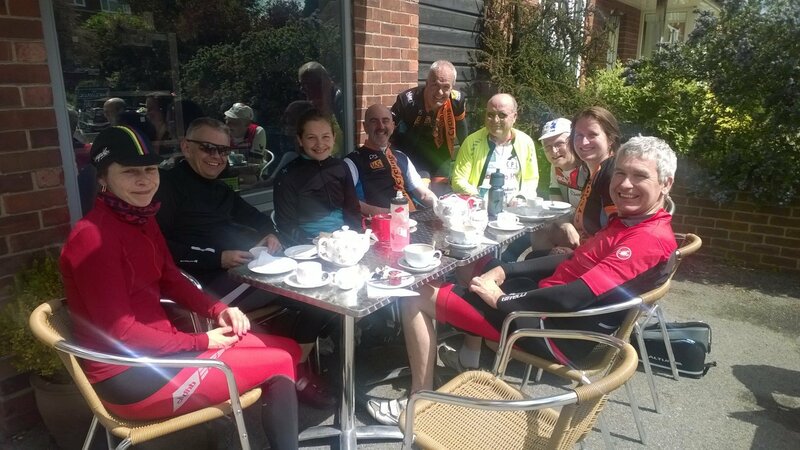 Enjoying sunshine and sustenance: Sarah, Mark, Josie, Ed, Andrew, Roman, Graham, Fiona and Phil. We agreed that the Bakehouse prices were very reasonable, and top marks were given to the coffee and walnut cake by Sarah. Being the engine behind Mark on the tandem, she probably had the greatest need for cake.